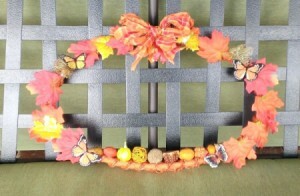 An oval embroidery hoop can be used as the base for making a lovely wreath for any occasion. This is a guide about making an oval embroidery hoop wreath. 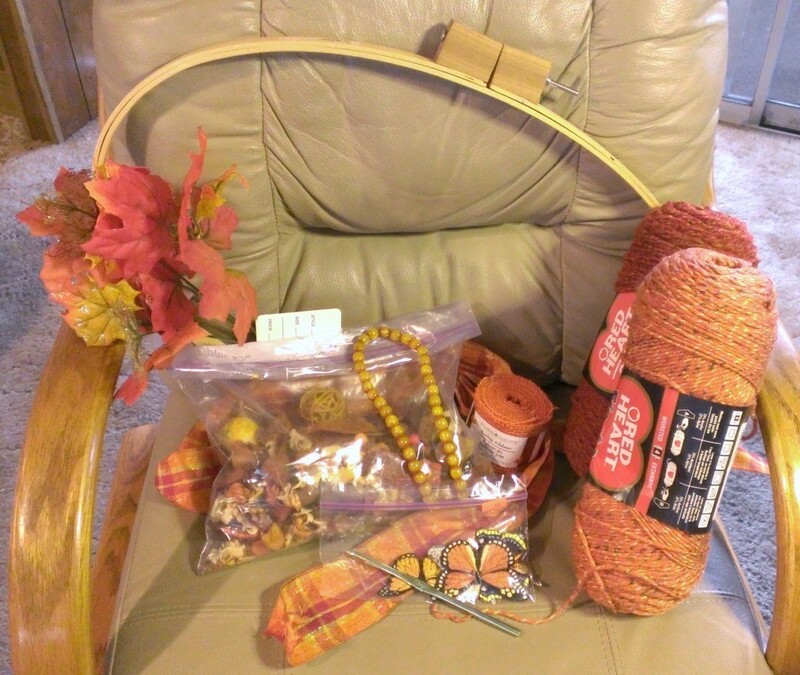 I went looking today for a rattan or foam wreath at the local thrift store. I think what I found is much better. With some stuff I had and cool things I found, I was able to come up with this. The best thing about it was there is no other like it and I brought it in for under 5.00! 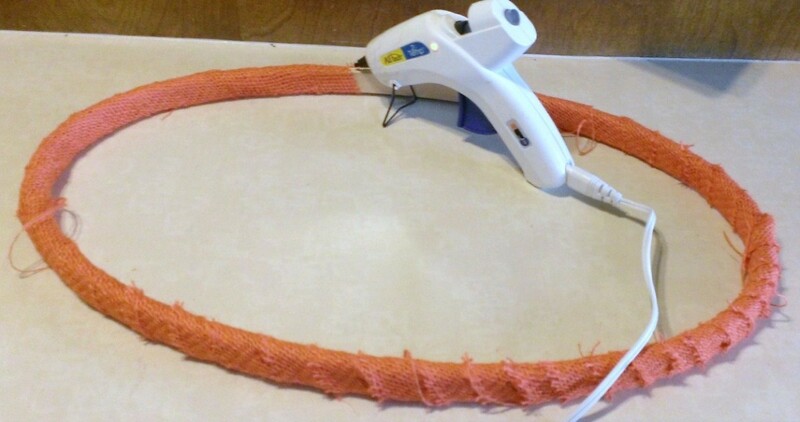 With your hot glue gun heated up, unroll the roll of burlap and glue/wrap it around the hoop. The rolls are about 9 feet and I suggest you cut it in half length wise so you don't run out like I almost did. 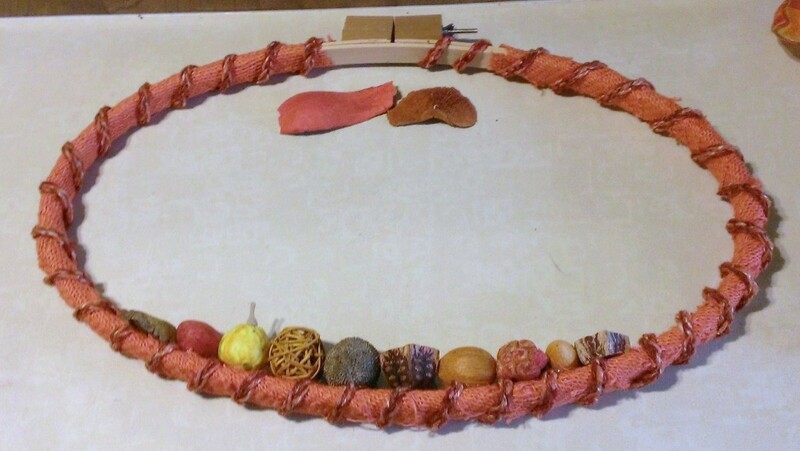 With your hook and two strands of your favorite fall colored yarn, chain enough to wrap around the burlap. Your amount will vary depending on the size you get. Next, take your glue gun and choose the biggest pieces of potpourri to glue along the bottom. Leave them pressed onto the frame about 30-40 seconds. For durability, they should bond to the wood itself through the burlap. For the last step, hot glue on the leaves. You will want to clip them off the stems and even clip off the stems from the leaves themselves. This will give you a wider base for the glue. Add your ribbon and embellishments and you are done. This is for a friend who loves butterflies so you might want to make one for someone who likes dragonflies, flowers, ladybugs, or anything that can be found in a faux style. Or make one that you love and keep it. N-JOY!! Thanks Esther. You can take the tiny ones and wrap them with ripped fabric or lace, ribbon, or yarn. I made one as a frame but you can hang them from trees or make a garland to hang from the windows or the fireplace.